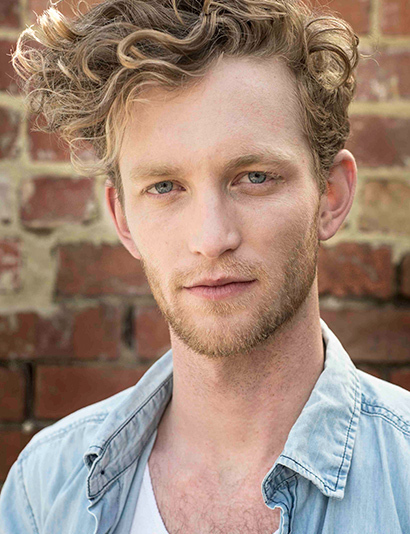 After completing a bachelor of creative arts (Drama/Film) from Deakin University, Shane went on to study full time at the world renowned Howard Fine Acting Studio. Recent theatre credits include “Ricky” in Big Al at Chapel Off Chapel and “Marc Christian” in Playing Rock Hudson at the Malthouse Theatre. Recent screen credits include playing the lead roles of “Lindsay” in Anatomy (dir. Joe Betros), “Art” in Artemis (dir. Daniel Higgins), “Dean” in Nevyr Love a Vampyr (dir. Geoffrey Wright) and “Chris” in the webseries Chris & Josh (dir. Matt Smolen). Shane’s latest big screen venture, playing “Michael” in the feature film Ravenswood is set for a US/Canadian release later this year. Shane’s love for the craft has led to him not only being an Actor, but also a Producer, Director, Writer and Coach. Recent achievements include winning Best Writing at NYC WebFest, Best Online Video at the London Film Awards, Best Comedy Series at the Online Video Awards Australia and being nominated for Best Male Performance in a Comedy by the International Academy of Web Television. Shane’s latest project in which he acts, wrote and produced is a short film titled SH!T, which is currently touring the world, already being screened at 5 International Film Festivals. Shane is also currently in pre-production on 2 feature films and is about to launch his own studio space and production company.